This radio might look dirty, old, and unimportant, but this radio is vital to rural communities in Papua New Guinea. This radio has the ability to save a life. Papua New Guinea is known for having very mountainous terrain, which is the key contributor to the isolation of communities. Recently, we helped organize a medevac for a woman located in a very remote village in the Madang province. This village had no accessible roads close by, was a two days hike away from the nearest hospital and had no health worker and no clinic. The only way this woman- who was having premature labor pains, passing out, and loosing a lot of blood- was going to make it, was through a medevac flight. Luckily for her, her village had access to a radio and sat just on the edge of an airstrip. Saturday morning the village was able to contact CRMF, who monitors their radio 24/7, and we helped organize a medevac with MAF. But what if that old, dirty radio hadn’t worked? What if it hadn’t been there? Chances are that mother would have died. CRMF continues to make radio installs all over PNG. We also travel to remote communities to repair their radios. In a world of changing technology, this radio network, established in early 1950’s, hasn’t gone out of style. The need is still present: as long as there continues to be remote communities isolated by terrain this radio will remain in use. 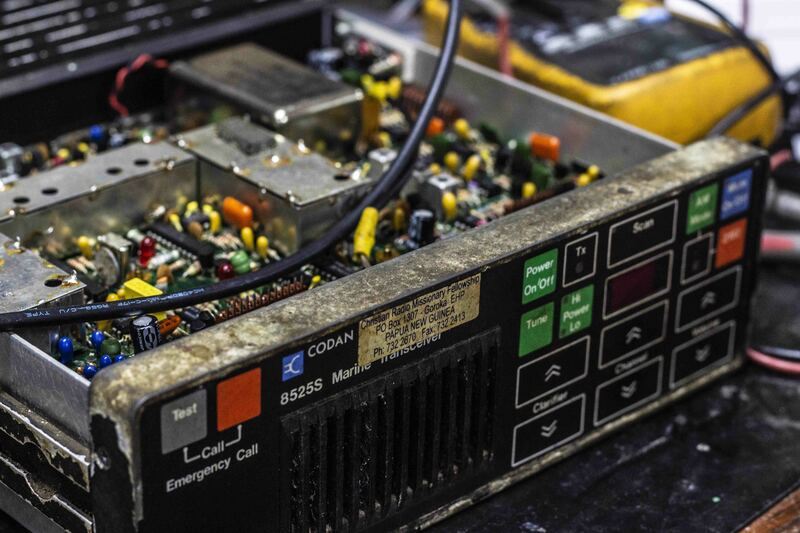 This old, dirty, dusty radio will continue to save lives.